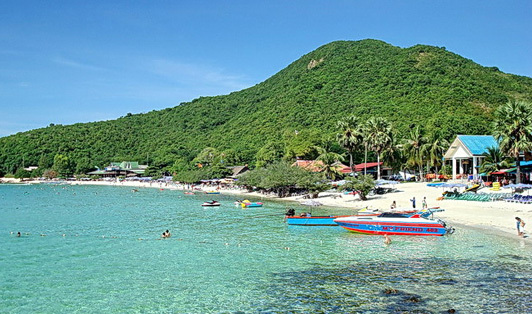 Laemtong Bay is a secluded, natural bay that is mainly traveled to in order to access one of the four great holiday resorts; Phi Phi Natural Resort, Zeavola Resort, PP Erawan Resort and the Phi Phi Holiday Inn Resort. Its about a 20 minute ferry ride from Phi Phi's entry point, Tonsai Pier and involves a simple boat change. It's an amazingly scenic trip. There isn't an actual pier here - ferries anchor in the bay and longtail boats from the different hotels then transfer their guests to their dream destinations! Departing Laemtong Bay involves an exotic scheduled longtail boat transfer from your hotel back to the awaiting ferry.